On 9 December 2007 Eurocopter EC135T2 JA31NH, operated by All Nippon Helicopter, took off from Tokyo Heliport for a ferry flight to Shizuoka Heliport. The helicopter crashed on approach after a loss of tail rotor (fenestron) control. The pilot died and a mechanic onboard was seriously injured. 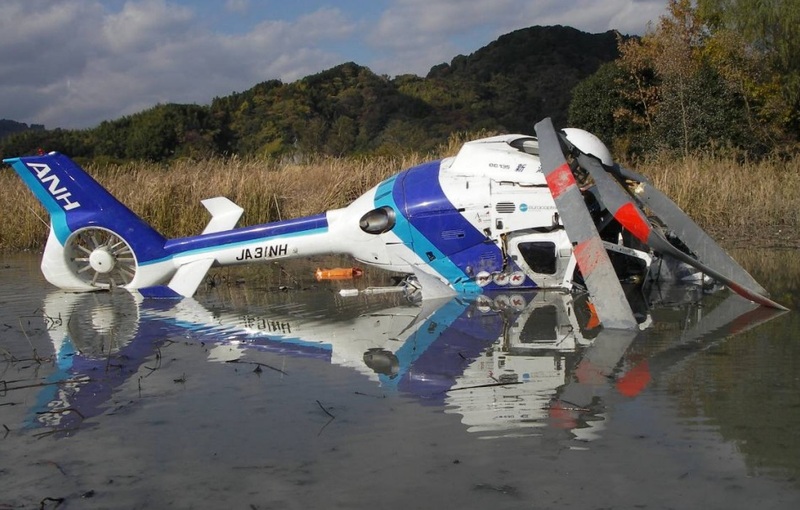 Investigators from the Japan Transport Safety Board (JTSB) determined that following the propagation of a fatigue crack, the tail rotor (TR) control rod had ruptured at the threaded connection to the yaw actuator during the flight and this made the tail rotor uncontrollable. …it is considered highly probable that the captain did not perform an emergency procedure for the tail rotor failure conditions, as provided in the flight manual. 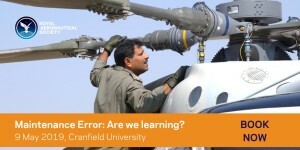 It is considered probable that his failure to perform such an operation reflected the absence of a syllabus for tail rotor failure in the periodic training for the captain. 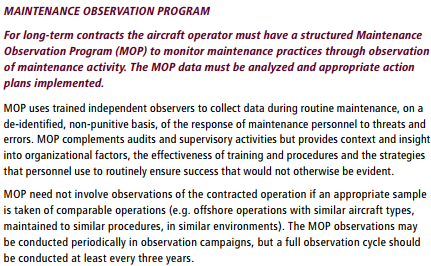 The maintenance manual provides that the periodical inspection of the TR control, including that of the ball pivot, must be performed every 800 flight hours or every three years, whichever occurs first. A periodical check for the Aircraft was performed by the Maintenance Service Company on March 9, 2006, 368 h 25 min in flight time before the occurrence of the accident. But there was no looseness in the threaded area of the Rod. There was no abnormality with the ball pivot, either. …was not performed in accordance with the trouble shooting procedure provided in the English written maintenance manual of the aircraft manufacturer. As a result, the inspection of the ball pivot was not performed and its stiffening was not found. 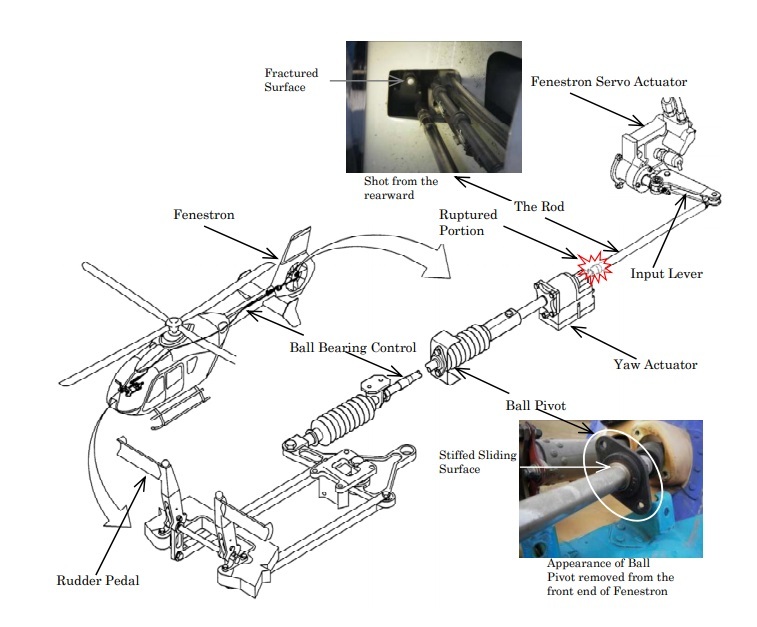 In addition, the fact that the joint of the tail rotor control rod and the yaw actuator has a left-handed thread is provided in the English written maintenance manual of the aircraft manufacturer, but it is considered somewhat likely that the mechanic involved in this case, while intending to tighten the joint, actually turned the joint to the opposite direction to loosen it. Therefore, it is considered highly probable that the threaded area of the Rod had become loose and the ball pivot had stiff sometime after the periodical inspection performed by the Maintenance Service Company and as a result, a crack created in the threaded area of the Rod. 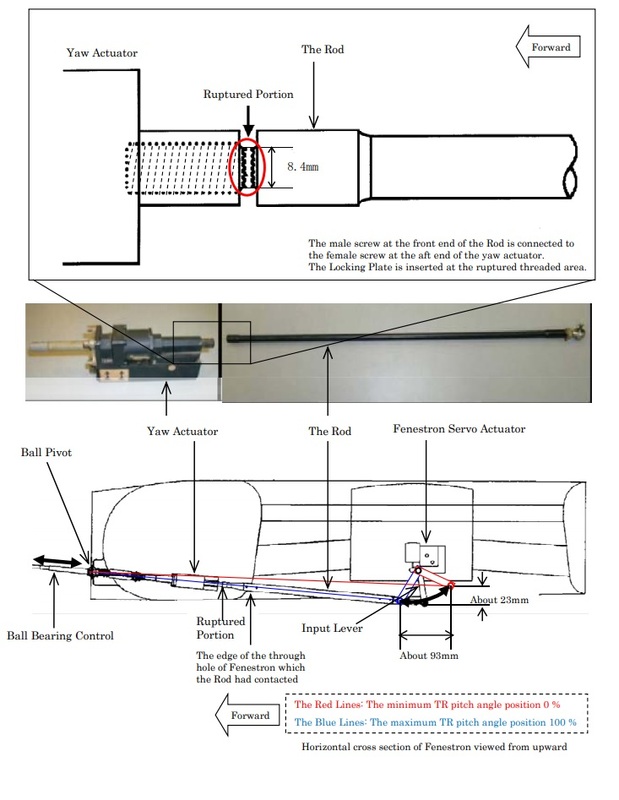 …it is considered highly probable that repetitive bending loads in excess of the fatigue strength had been applied on the Rod due to the loosening of the joint of the Rod and the yaw actuator and the stiffening of the ball pivot as well as a resonance phenomenon following the stiffening. As to the stiffening of the ball pivot, it is considered highly probable that the phenomenon had occurred because red rust created with the corrosion of the contact surface of the inner ring and the outer ring caused volume expansion in the space between the two rings and this restricted the movement of the two rings. …it is considered highly probable that because the captain had not fastened the shoulder harness, his body bent forward due to the impact at the time of the crash and his heart was damaged as he had his chest hit with the cyclic stick.